Taos Sports Alliance – Taos Turkey Trot Returns! 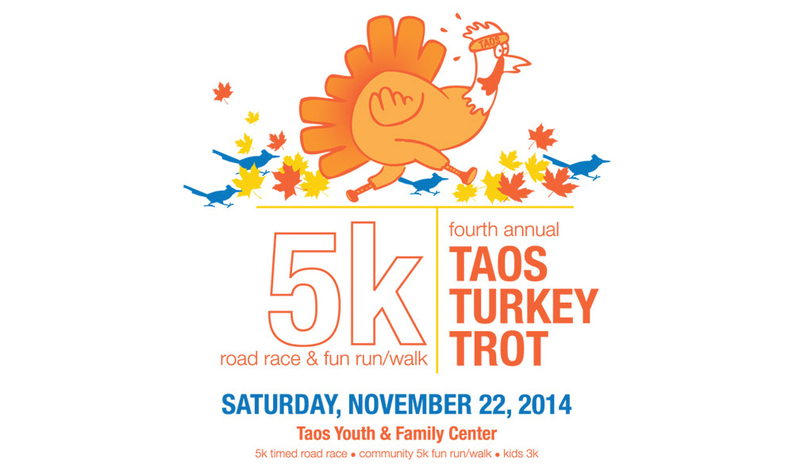 The Taos Turkey Trot returns November 22, 2014 to the Taos Youth and Family Center to get Taos up and moving as a kick off to the big food holiday! Don’t miss it. This year’s event again benefits Get Fit Taos Kids – a part of the ECHO Kids nonprofit program designed by Taos Clinic for Children and Youth to help educate young people about healthy lifestyle choices like a good diet and exercise patterns to combat the threat of childhood obesity and diabetes among our local young people. If you’d like to volunteer to support the event or be a prize sponsor, we’d love to have you! Please get in touch. We are dedicated to promoting and creating sporting, recreational and entertainment opportunities that improve health and economic outcomes and overall quality-of-life for Taos County residents. Lilac Festival 5K 2016 Coming Up!